As the deadline for tax season draws closer, it’s vital that rental property management companies find ways to reduce their tax burdens. Taxes are a large portion of a property management company’s expenses, and finding rental property tax deductions can provide a noticeable windfall for some organizations (or help to minimize the IRS bill for others). 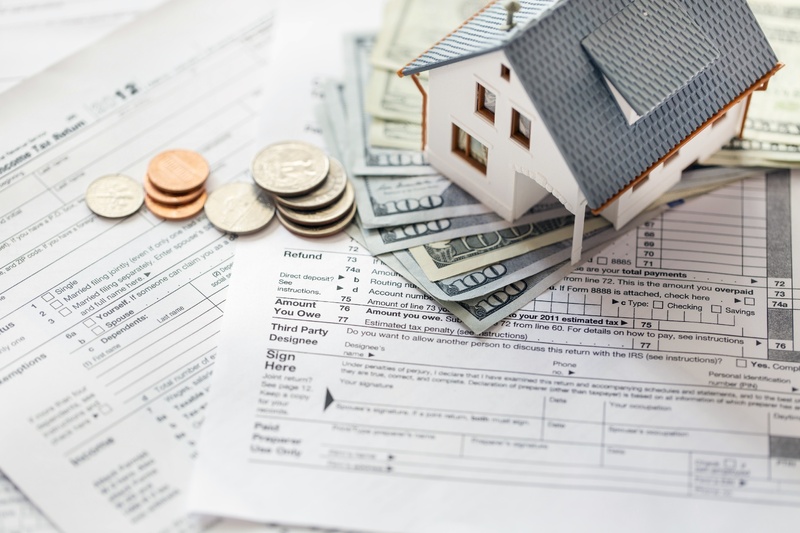 However, as complicated as the tax laws are, it often takes the service of an expert tax attorney to get the best rental property tax deductions and not get audited. In fact, it is strongly recommended that you find a tax attorney to walk you through the list of “rental property tax deductions 2018” since they’ll know the best deductions to take and how to maximize your return. Real estate loans aren’t the only form of interest you can deduct, either. The IRS’ business deductions page lists business interest expenses, or “the amount charged for the use of money you borrowed for business activities,” as a deductible expense. Basically, for some income-generating properties, such as rental properties, there are additional taxes that may be assessed beyond the federal income tax paid on the revenue generated. Some of these property taxes are actually deductible—to a limit of $10,000/year, according to TurboTax. If you’re considering taking this kind of rental property tax deduction, it’s important to consult a tax expert to verify what you can and cannot claim. Did a toilet spring a leak? Did a window break when a neighborhood kid threw a wild fastball? Was it time to freshen-up the peeling paint this year? If so, there’s good news: you can probably claim these repairs as a deduction on your taxes. Nolo notes in their article that “The cost of repairs to rental property (provided the repairs are ordinary, necessary, and reasonable in amount) are fully deductible in the year in which they are incurred.” So, for any ordinary repair job that crops up during the year (and minor repairs are a constant necessity), there is a chance to recoup some of that in your taxes. However, it is important to note that these deductions are for repairs, not improvements. If the repair could be considered an upgrade, that may affect your ability to claim it as a tax deduction. As noted by the IRS.gov website, “You may not deduct the cost of improvements. A rental property is improved only if the amounts paid are for a betterment or restoration or adaptation to a new or different use.” You may want to review your repairs with a tax attorney to discuss whether they count as repairs or improvements—especially if the repairs included an upgrade like replacing a broken single-pane glass window with an energy-efficient double-paned window. Money spent on improvements is covered under depreciation instead of a straight tax deduction. However, it isn’t only your internal employees that you can deduct on your taxes. If you hire an independent contractor (IC) to perform work related to your rental property management business, such as renovations, you can deduct their pay from your taxes as well. It is important to remember that, as Nolo states in their article on deducting independent contractor salaries, if you pay an independent contractor more than $600 during the year for services related to your rental property management, “You need to obtain an unincorporated IC’s taxpayer ID number and file a 1099 form with the IRS.” When determining whether you’ve hit the $600 threshold, you should include the cost you were charged for any parts and materials the independent contractor used to complete their services. Business personal property insurance (fire, theft, flood, etc.). Basically, property management companies need to have multiple forms of insurance to cover themselves, their properties, their customers, and their employees. Thankfully, insurance is considered a necessary business expense by the IRS, so it makes the rental property tax deductions checklist. These are just a few of the rental property tax deductions for which your business might be eligible. As a reminder, if you haven’t already, consult a professional tax attorney in your area for more advice regarding the claiming of tax deductions. Want more updates and information about property management and property maintenance? Subscribe to the HOMEE blog today!